Despite all the damp, gloomy weather we’ve been seeing lately, Northern Michigan’s natural beauty is still shining through. 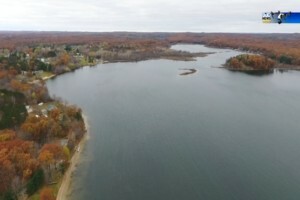 The proof is in this Northern Michigan From Above. Photojournalist Catie Brettschneider takes us over Crooked Lake in Jennings.